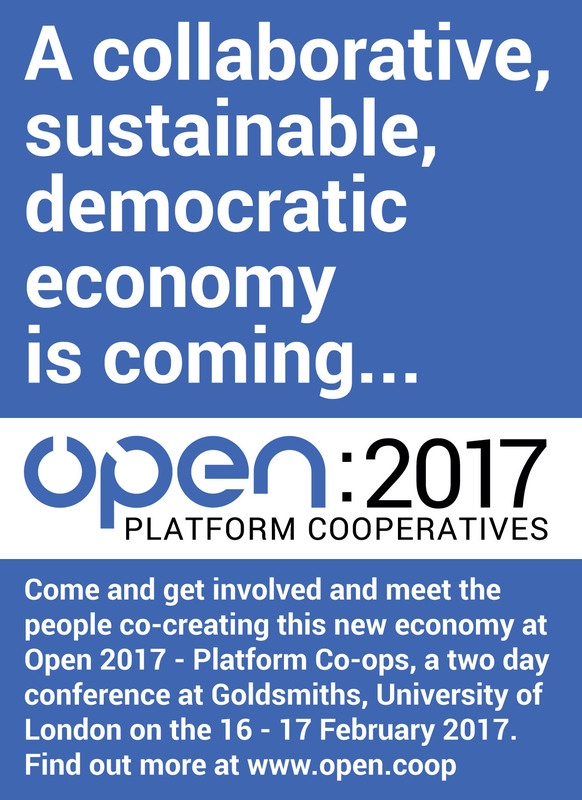 STIR Magazine is a media partner for next year's Open Co-op Conference, London. Book tickets here! 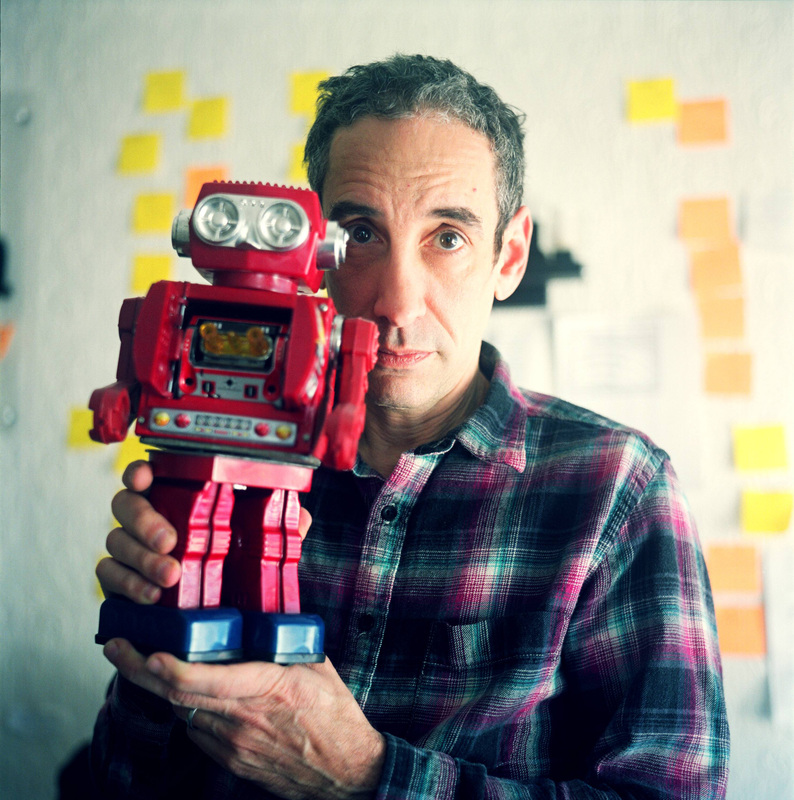 This Q&A with writer, documentarian, and lecturer Douglas Rushkoff is byconference team organiser Oliver Sylvester-Bradley. OSB: You've mentioned that "the model of the ever expanding economy is bankrupt" and highlighted the "corporate charters" and "central currency" as the core components of the present "bankrupt" system. How can we hope to challenge the corporate charters? DR: Well, you sound like you believe the way to change corporate structure is for citizens to take action against the corporations. That's certainly one possible approach, and useful in a situation where there are no human beings within the corporation who are willing or able to change the corporations from the inside. What might be surprising to you is that most of the people in corporations actually do not want to kill people, do not want to be enslaving children in resource-rich nations, and do not want to make the planet uninhabitable. They are the ones in the best position to change corporate actions, since they are inside the companies themselves. They simply need to be educated about what is possible. I tried to do some of that in my book. CEOs and Boards of Directors need to understand that they do have legal authority to act in the best long term interests of the company. So-called "activist" shareholders really cannot sue Boards for hurting the short-term value of shares – especially when the Boards are acting in the long-term interests of the shareholders. Not destroying the planet is in the best long-term interests of shareholders. Likewise, companies can restructure and reorient from within to favor dividends and public reinvestment over capital gains and extraction. So, as I argue in my book, the key is to convince CEOs and others who are running corporations that they can exercise human agency in their decisions. They do not have to behave automatically. They can use their decision-making authority. They need to communicate with shareholders, and explain the advantages of getting lots of dividends instead of a one-time "pop" of share price, followed by an inevitable decline. Companies can actually make more money with ongoing revenues than blindly pursuing growth. OSB: You have described how "digital giants are running charter monopoly software…" and that their "technology enforces the monopoly". At Open we are keen to see NGOs, co-ops, non-profits and even Local Authorities start to utilise open source software and, in return, to fund the development of a suite of open source apps which facilitate collective ownership and collaboration. What steps do you think are required to disrupt the digital giants' monopolies? DR: Of course, I was using the word "software" a bit metaphorically. The corporate charter is itself a program that can be changed. Instead, it is being further amplified by technology. What I mean by that is that the corporation works in a particular way, as dictated by the charters and contracts making up their business plan. So a company's core code - long forgotten - may assume that the way to make money is to prevent people in the regions where the company operates from making any money. And while that may have been a good strategy for maintaining a slave state in the 1400's, it doesn't work so well in places where people are supposed to be free or employed. But the company's directors may have forgotten all of this by the 21st century, and simply implemented new plans based on the same strategy of exploitation and extraction. So now they are writing software and building platforms that embed these same assumptions about their users. And they end up extracting value and time from people without helping them create or retain any for themselves. Or a business plan might be to make money by extracting metal ore from the ground. Then, the company builds technology to do that, which makes the extraction happen a lot faster. They don't realize that extracting so quickly and totally may deplete things in new ways. And because they don't realize that the core "code" of the company is actually changeable, they don't see any way out of the problem. Now, you're talking about software solutions themselves, and how people from the outside can give up entirely on the corporate solutions, and build alternative software that works in greater consonance with the needs of real people and places. That's pretty easy to do. We can write an alternative Uber that lets the drivers participate in the profits. Or an alternative Facebook that doesn't manipulate people's news feeds to try to program people's future choices. The trick is getting people to use the alternatives when they're not so pretty or universally accepted. - Cost the user the same or less (i.e. provide better value for (conventional) money. What do you think about the possibility of an "open app ecosystem" (a library of interoperable apps, covering all aspects of communication, organisation and even trading needs) sweeping into dominance over the corporate alternatives once it provides the same level of utility, at the same price, as the present corporate systems? OSB: Your chapter in Ours to Hack and Own entitled 'Renaissance now' explains how we are on the verge of a modern-day renaissance. There is no doubt that revitalising and retrieving lessons, techniques and habits from the past could help bring about change but the last renaissance was also driven by a shift in intellectual thinking. Do you have any thoughts on how, and where, an intellectual shift might come from? DR: I think changes in experience can change people's world view. If they have terrific experiences working in co-ops or using local currency or simply sharing stuff, then their world view will change. OSB: You explained how "banks were invented to extract value from our transactions not to authenticate transactions". Do you have any thought on why LETS and time banks haven't made a more effective transition to the web? DR: I think part of the reason LETS and alternative, trust-enabling systems have not developed is that most people are not actually proud of the value they create. Too many people feel that they don't have enough to offer, and need to hide behind anonymous cryptocurrencies and traditional anonymizing monetary systems in order to mask things. Meanwhile, if a person is sitting in a cubicle working for a mortgage broker or collecting debt from student loans, how are they supposed to participate in a local LETS system? What real value are they creating for others? Such people find it easier to take some of the cash they've made and "invest" it in Ethereum than... become part of some local favour bank. To create and exchange value, you have to be able to create some value for other humans – not just help some corporation extract value from people. OSB: I am excited about the idea that platform co-ops and the collective ownership of our local facilities and businesses could potentially completely disrupt capitalist democracy as we know it. Where do you stand on 'working with and within the present system' vs 'building a new system which makes the present system obsolete'? DR: Well, I don't think it's one or the other. People can vote on public and municipal activities through traditional democratic participation, and people can vote on private and business activities through their participation in cooperatives. I do believe that the more influence real people have on the private sector, the more freedom our public activities will be from corporate control. A platform cooperative is not going to lobby the government for destruction of the environment where its workers are living. So government ends up able to deal with reconciling the different views of its people, rather than that of its people with that of its non-human corporate actors. DR: Well, it has more to do with how much a business actually needs to operate and satisfy its market. If a business is really inexpensive to operate, then it doesn't make sense for that business to take billions of dollars in investment. I know that sounds crazy, but it's true. If you take billions of dollars of investment, then the people who gave you that money expect to get that money back. This means you need to make billions of dollars in revenue. That's really hard – especially if you're a small business that can actually function with just a few thousand dollars. If you take less money, then you are not obligated to grow the business so fast. You are still *allowed* to grow your business fast, but you don't have to become a multi-billion-dollar business right away. DR: I'm not a utopian, so I don't envision a world or economy entirely transformed into a new state where all the value people create is properly registered, the commons is reinstated and appropriately governed, and selfishness is exchanged for true compassion. "The generative, solidarity-inspired economy I envision is one where humanity stands a good chance of making through the next century without going extinct." The generative, solidarity-inspired economy I envision is one where humanity stands a good chance of making through the next century without going extinct. I am trying to envision a world where global warfare won't be the only way to prevent impoverished populations from enacting violent revolutions on their own governments. I'm imagining a world where the wealthy don't simply try to earn even more money in order to insulate themselves from the problems they've created by "externalizing" the real costs of their business practices. So the radical alternative I'm envisioning is simply a world where the most extractive and destructive practices don't absolutely dominate us. Where people have the ability to work for one another if there are no corporate jobs available. I can imagine a near future without people starving in the streets, without China cashing in its chips by purchasing America's greatest companies and properties, and without a continuation of the shift of wealth from the poor to the rich. I can imagine it not getting significantly worse than it is now, but that will take a huge shift in power and attitude. People and companies have to look toward earning money with the thing they do, rather than by selling the company itself. You can earn money, or you can "flip" your business (sell it to short-term investors). The latter leads to really bad practices. OSB: Thanks Douglas, you have given us plenty of food for thought. The proposal that the users might buy back Twitter seems to demonstrate the growing appetite for platforms which are owned and controlled by their members. Here’s hoping more people start to realise the benefits of member ownership and governance, and how this creates a virtuous cycle of value creation. As you say, it seems essential if we're going to survive the great challenges of our time.